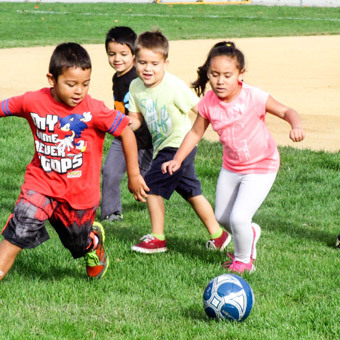 At Learning Pathways, we have designed and developed a physical education program that is especially suited for preschool and kindergarten age children. We call our program “Pathways to Fitness and Coordination”, or PFC. PFC is divided into three categories: Sports, Gym Stars, and Field games. 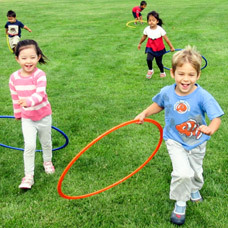 Each category focuses on different types of activities, skills and developmental growth. The children are escorted out to a field or exercise area three times a week for 30 minutes and participate in each category. An annual PFC fee is included in your first month’s statement. 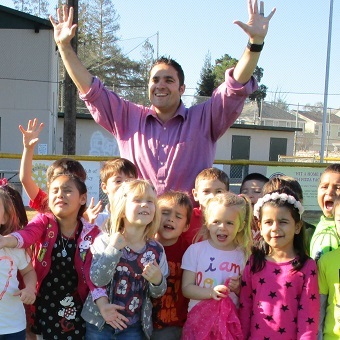 The sports that we incorporate are soccer, basketball, and T-ball. Curriculum for each sport is two months long and each week the students are taught a skill within that sport. Once they understand the basic skills involved in each sport, a game is incorporated using those skills. At the end of the two months, the children enjoy showing off their skills by participating in a “real” game. In Gym Stars, we focus on the use of gross motor skills. 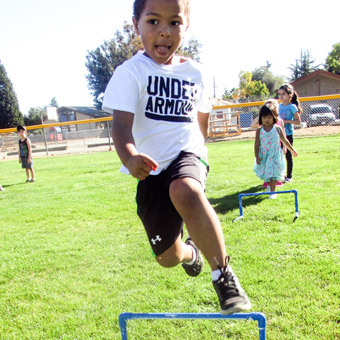 Every week, two new activities are organized that will engage our students in running, jumping, balancing, throwing, hopping, and much more. In Gym Stars, we are always developing new activities, incorporating fun and exciting equipment for the students to use and enjoy. 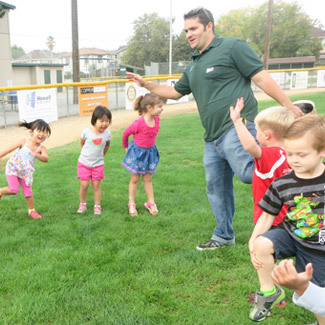 Our Field Games are designed to encourage children to play together as a team. 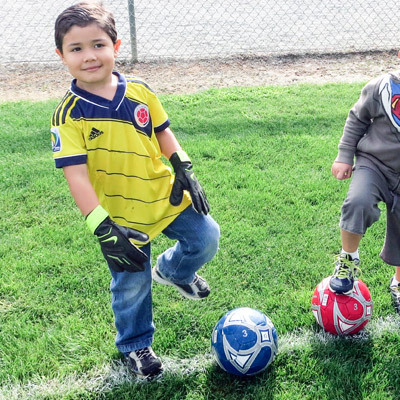 Children will learn about sharing and taking turns, while they learn new rules to games and how to work with each other toward a common goal. As the weeks progress, the games will increase in complexity and, throughout the school year, children will regularly develop new skills.